JD Miller painted live at the Las Colinas Polo Club on May 3, 2008. Polo on the Lawn is an annual spring fundraiser benefiting The Family Place. It was an afternoon of thoroughbred beauties, champagne divot stomping, live art performance and side-line socializing. JD will auction off his live painting "Polo Lilies" Friday May 30th at REFLECTION Fine Art Gallery. The auction’s proceeds will go to The Family Place. The agency opened one of the first shelters for victims and their children in 1978. In 30 years of service, The Family Place has counseled more than 135,000 clients, provided life-saving shelter to more than 16,000 women and children and answered more than 450,000 calls for help. So come and bid on an orginal JD Miller and give to a great cause. 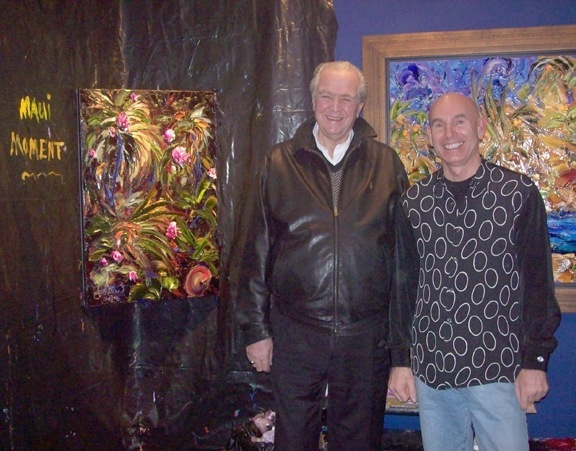 JD Miller painted live for the closing of his solo show "Envelope of Life" April 4, 2008. The evening begun with a wine reception as people filled the gallery. At the start of his performance, JD’s creation took form of a sculpted heart and dramaticaly transformed into a vibrant fuse of colors. In tradition, the audience entilted JD’s newest work as "Nirvana of Love". JD Miller painted live on Channel 8 Good Morning Texas Thursday April 3, 2008. Mr. Miller created a 3-D oil Water Lily painting as part of his Water Lily series. JD was interviewed by Co-host Amy Vanderoef of Good Morning Texas. Click here to see the interview. 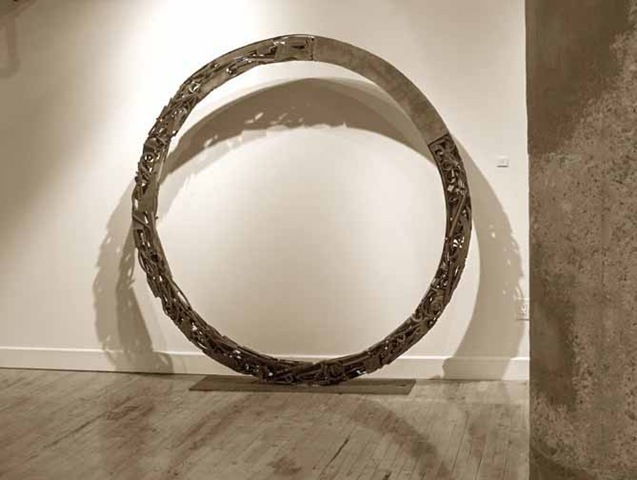 This Friday night REFLECTION Fine Art Gallery is proud to present an exhibition of recent sculptures by Juanluis Gonzalez- “Perspective Within” . And Maui Moment Was The Winner! Last Friday January 18th Jim Augur was the audience member who chose the title for JD Miller’s latest masterpiece. People crowded around JD when he started painting live while Beethoven’s Fifth Symphony played in the background. Some audience members whispered “I see fireworks!” while some just stood there taking it all in. When the final touch of paint hit the canvas, applause filled the room. It was now time to name JD’s newest addition to REFLECTION Fine Art Gallery. 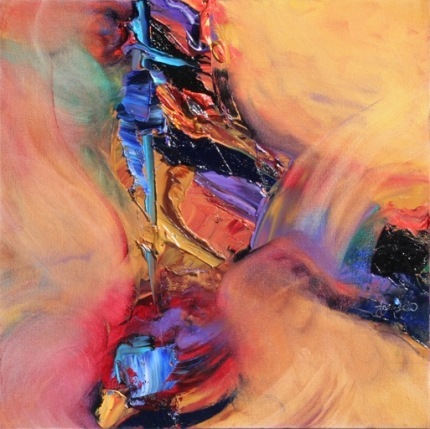 Many different titles were called out but when “Maui Moment” was spoken, everyone agreed that it was the perfect title for the painting. So a special thanks to Jim Augur for the clever title and to everyone who came to participate in the energy of an unforgettable evening! 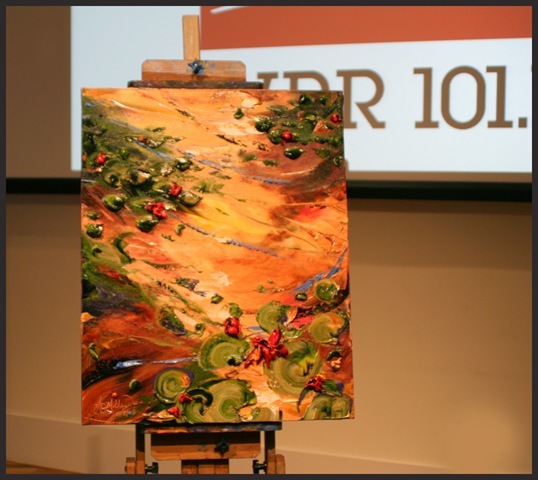 JD To Paint LIVE This Friday, Jan.18 ~ 6-9 p.m.! If you missed JD Miller paint live last Sunday at the Meadows Museum, you have one more chance to see him in action this Friday January 18!!!!! And check out what someone else had to say about the experience.The event will be at Reflection Fine Art Gallery from 6-9 p.m.
There’s also a wine reception and complimentary valet, so come and support the Arts!! RSVP at 214-965-9027 or email us. 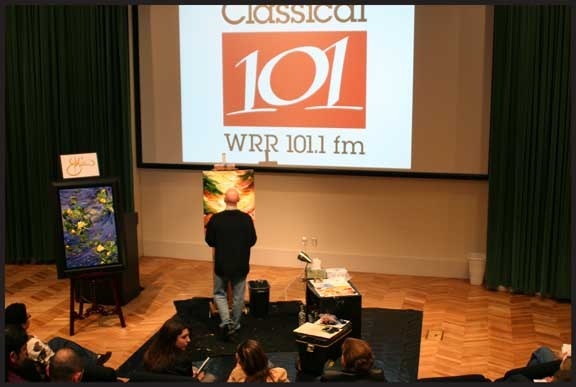 Contemporary Reflectionist Artist JD Miller will be painting live with host WRR Classical 101.1 fm. Complementary admission, free garage parking and refreshments will be provided. The day will be a blend of classical music, live performance and enlightenment. The Meadows Museum is located on 5900 Bishop Blvd. and Mockingbird Ln.